MTS India, country’s pure play CDMA operator has silently revised its data plan portfolio for its MBlaze Rev A customers. 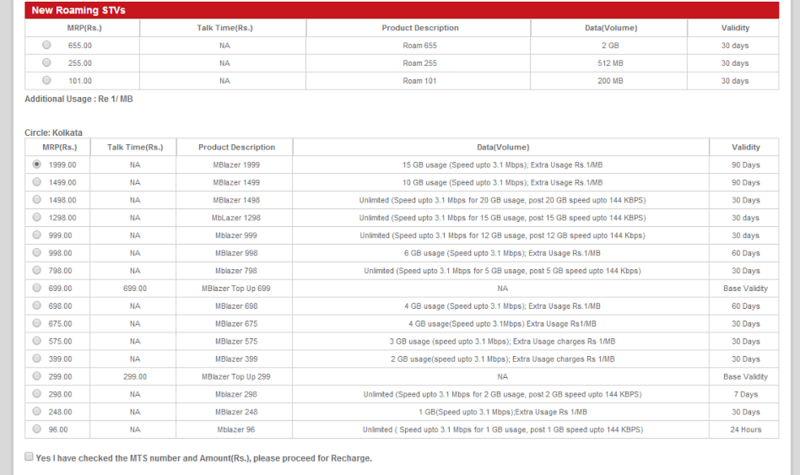 In mobile broadband league apart from BSNL EVDO, only MTS was offering true unlimited data plans on its unique MBlazer 330 & 550 plans, for 15 and 30 days respectively during night hours (00:00 – 06:00). These night plans and weekend MBlazer 295 (6 GB for weekends in 30 days) have been withdrawn. On the Rev B front aka MBlaze Ultra, MTS has no such true unlimited plans. And young generation did not opt much of its 3GPlus services and those are on night unlimited plans will leave this dongles. I would recommend to leave MBlaze and wait for Reliance Jio. People if you have good EVDO coverage then prefer BSNL EVDO i used MTS since last 3 years spent lot of money in it…Feeling guilty why i didnt take BSNL EVDO that time nly instead of taking mblaze….